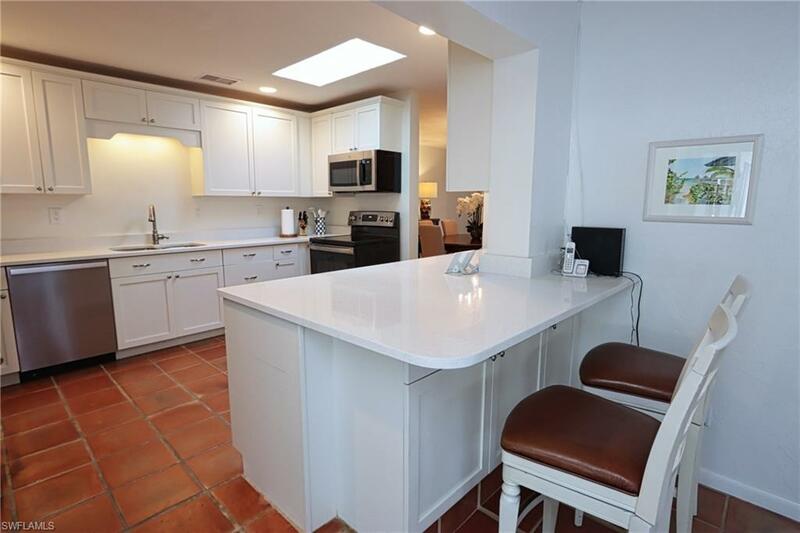 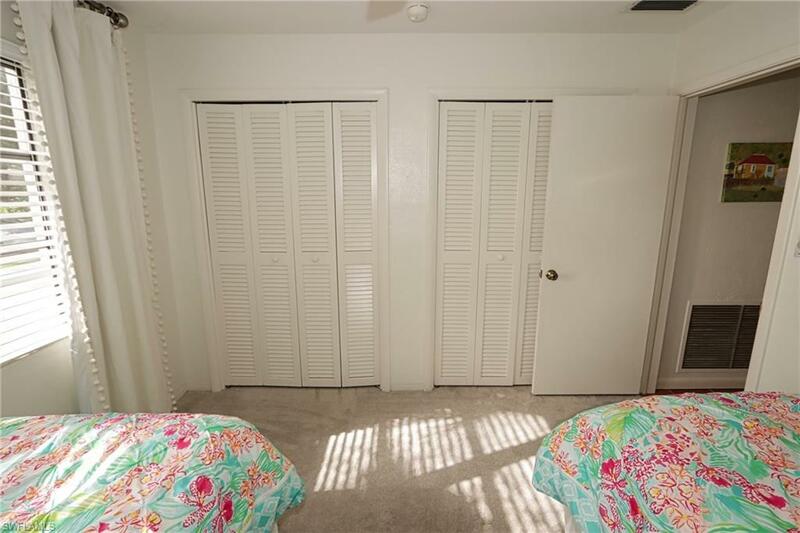 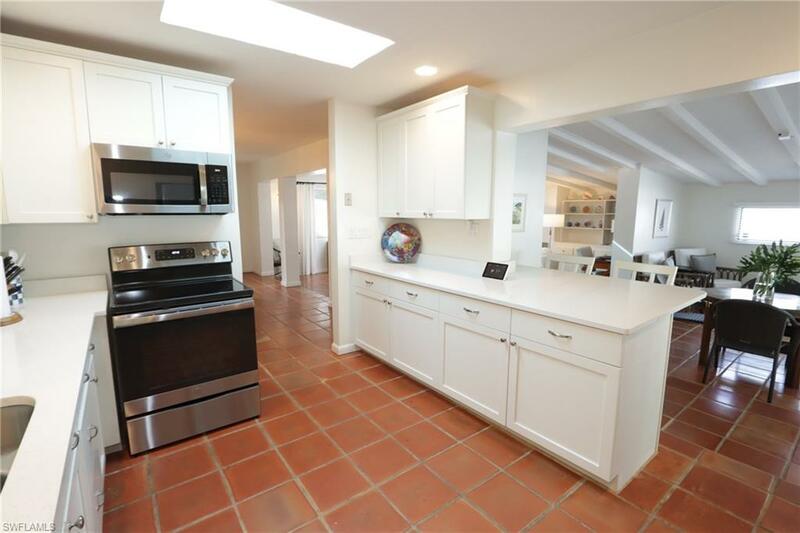 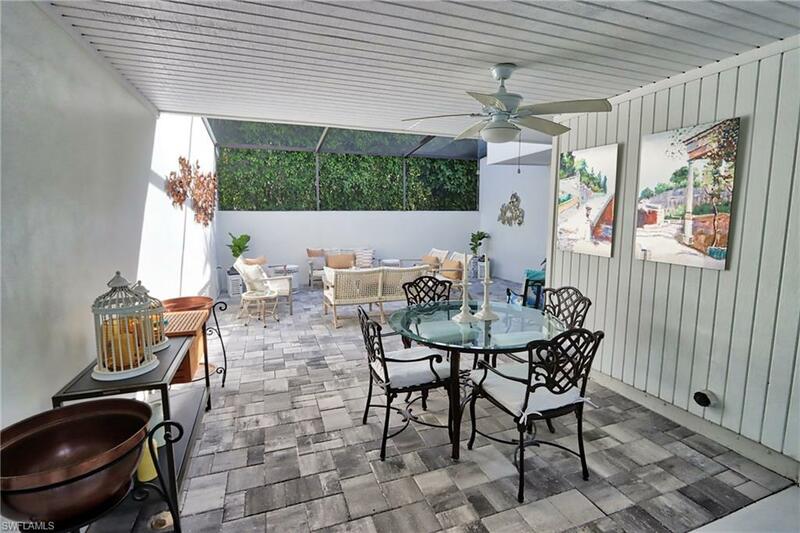 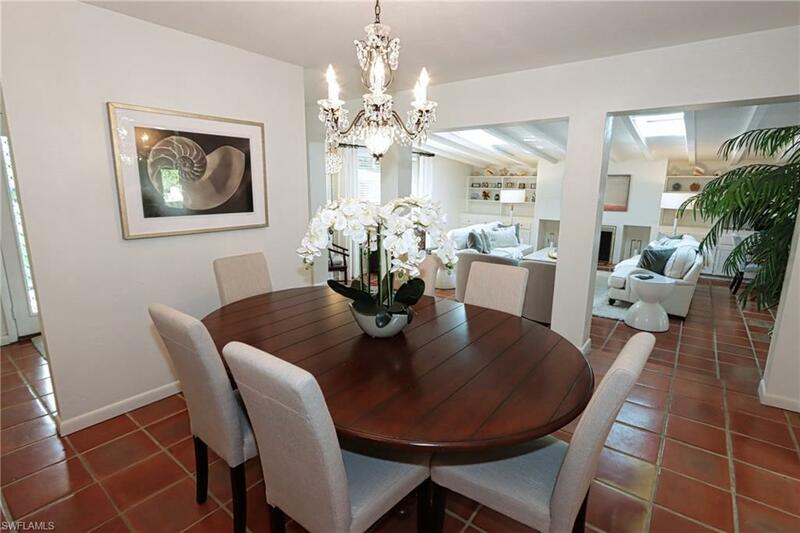 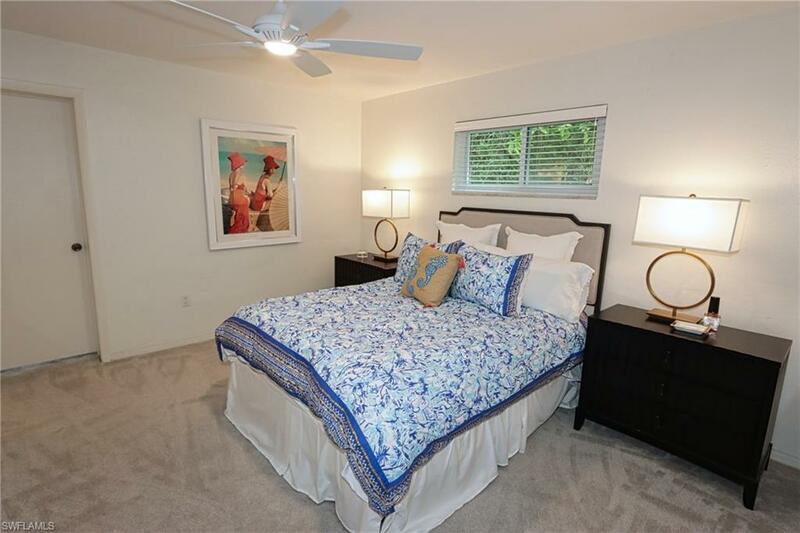 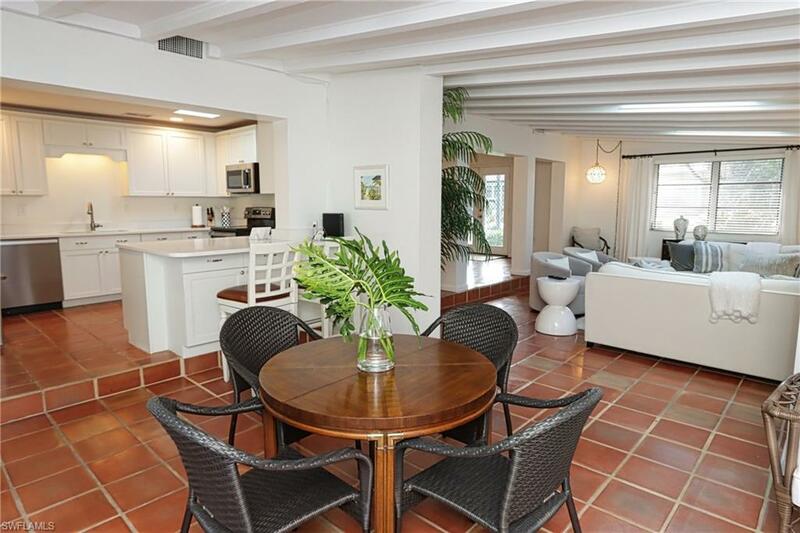 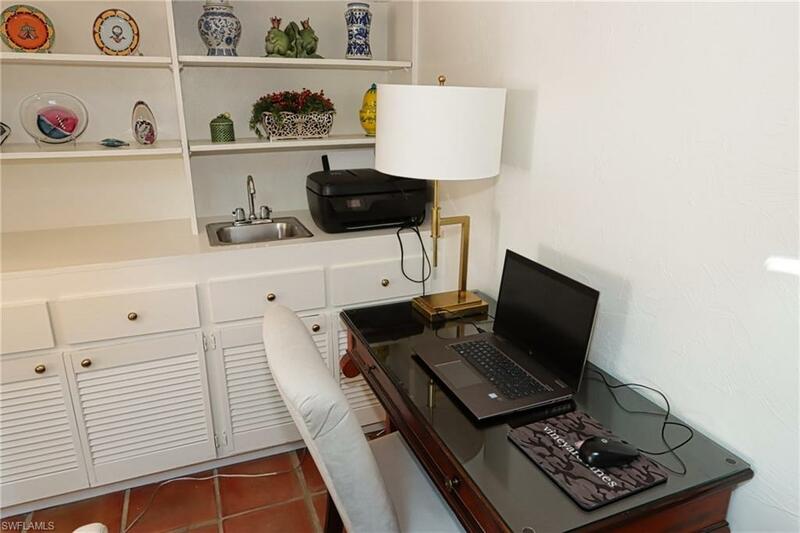 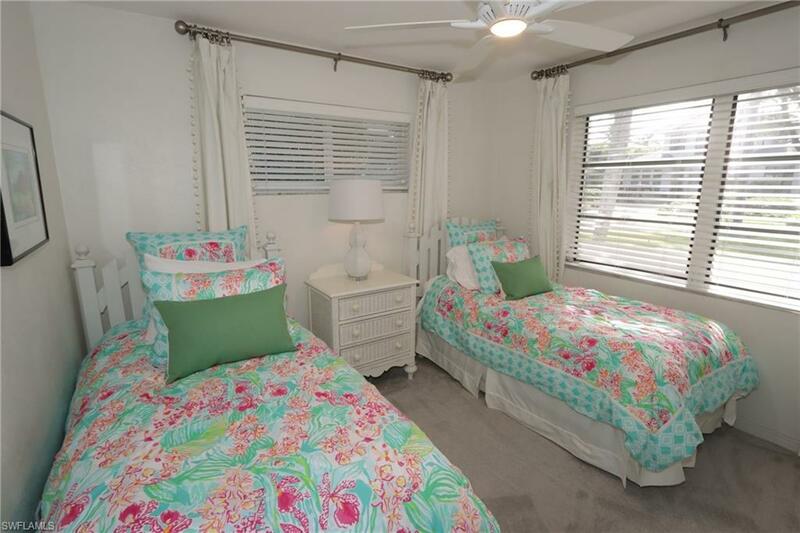 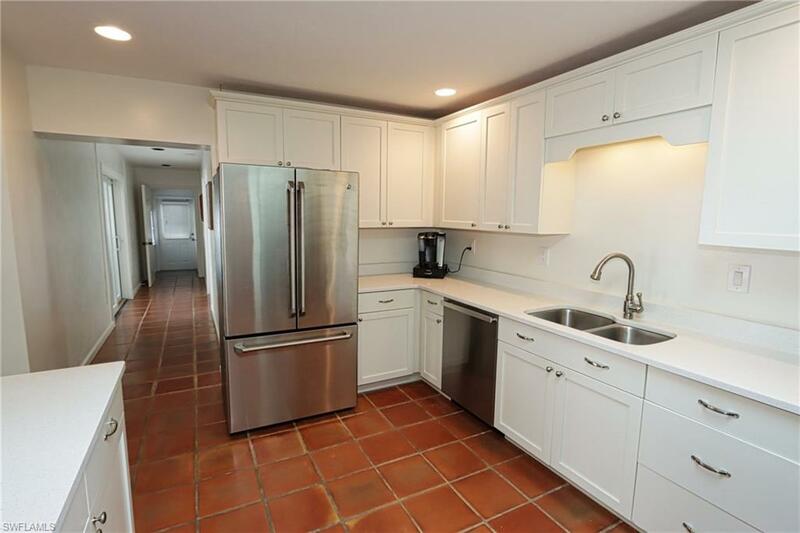 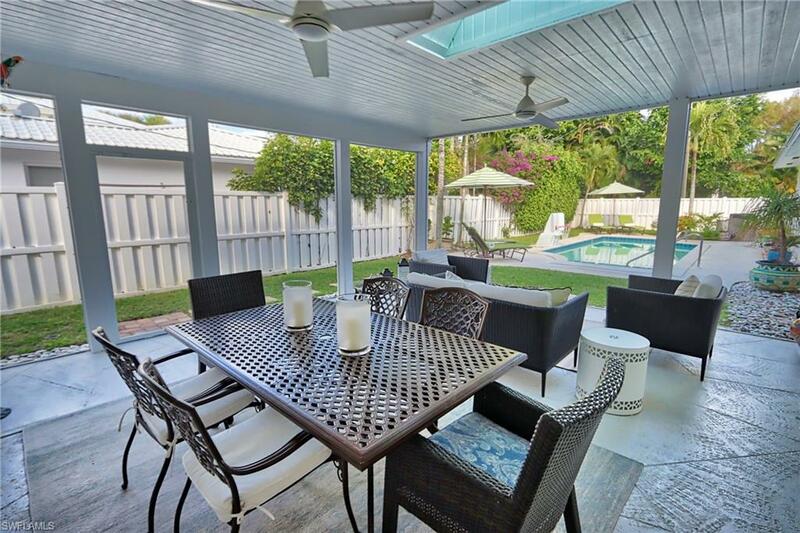 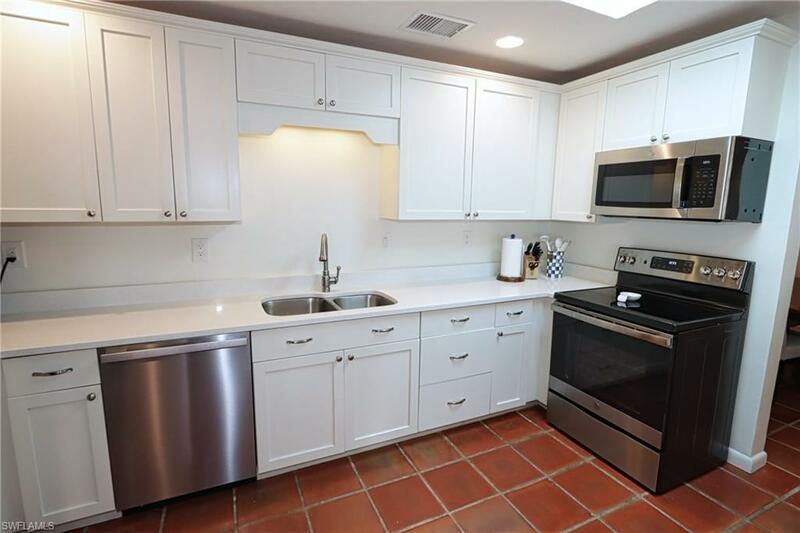 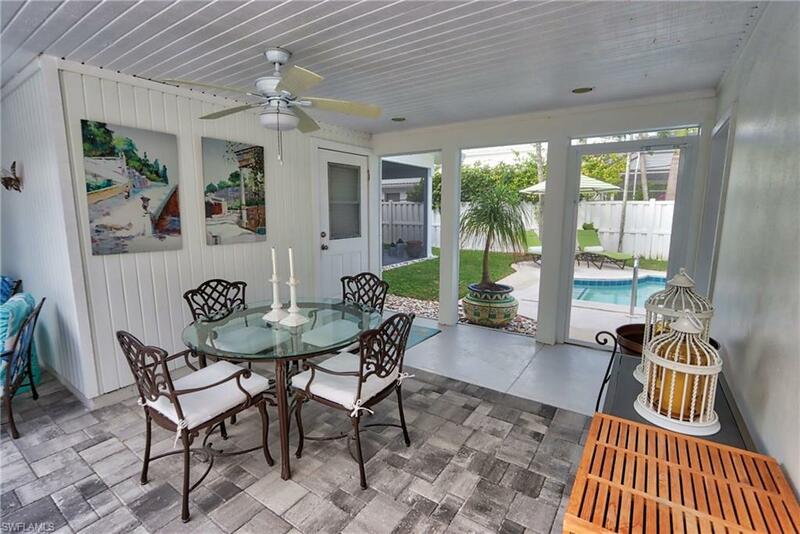 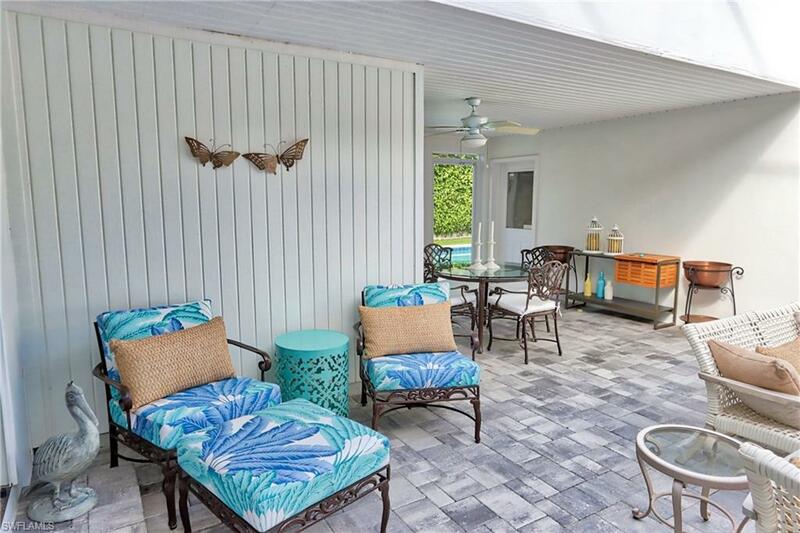 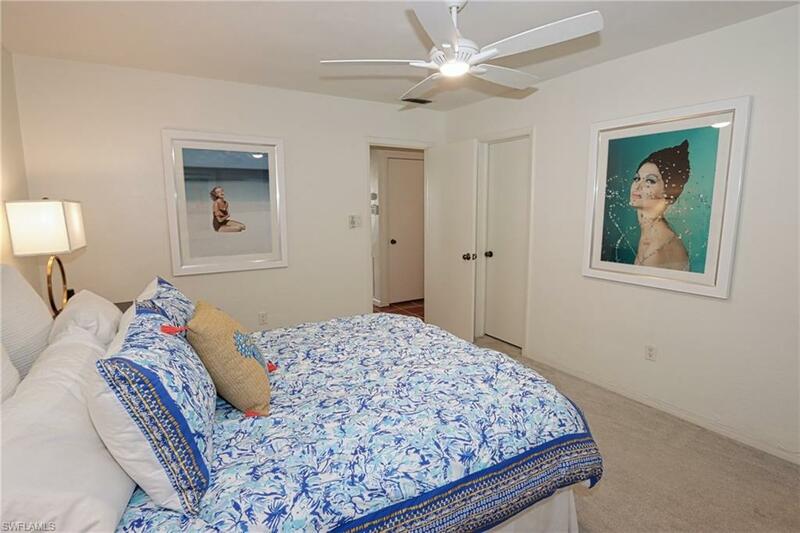 Completely renovated 3 bedroom, 3 bath, pool home, with wonderful Spanish tile throughout, all new furniture, and new carpet in the bedrooms.This home is just 3 blocks to the lovely, white sand beach and the Gulf of Mexico. 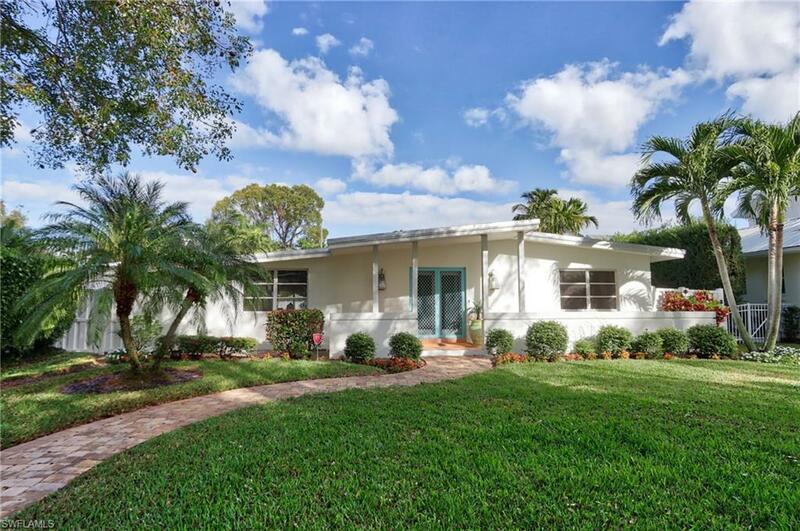 This charming Olde Naples home is a classic. 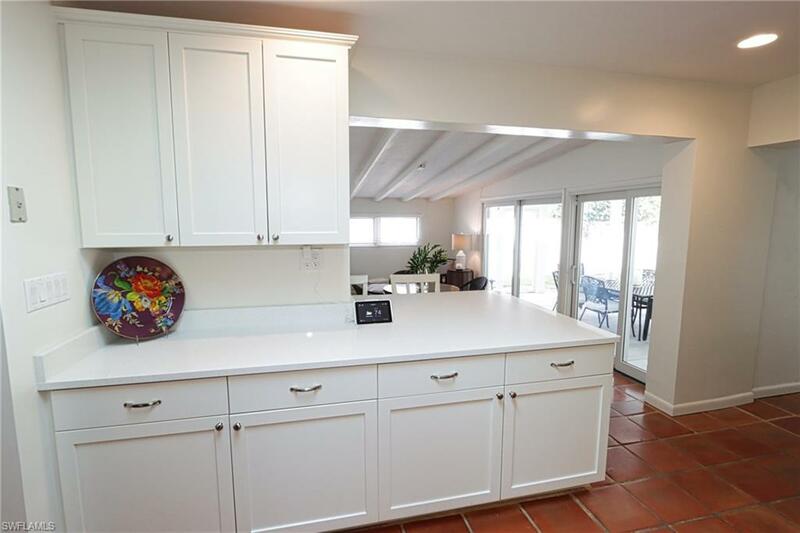 It has a large living room, family room, kitchen, dining room, laundry room, and lanai.It even boasts a three-car garage! 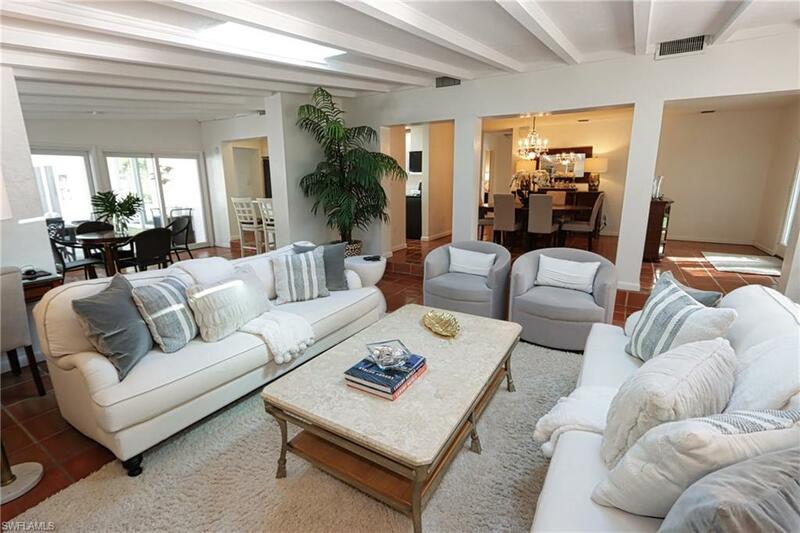 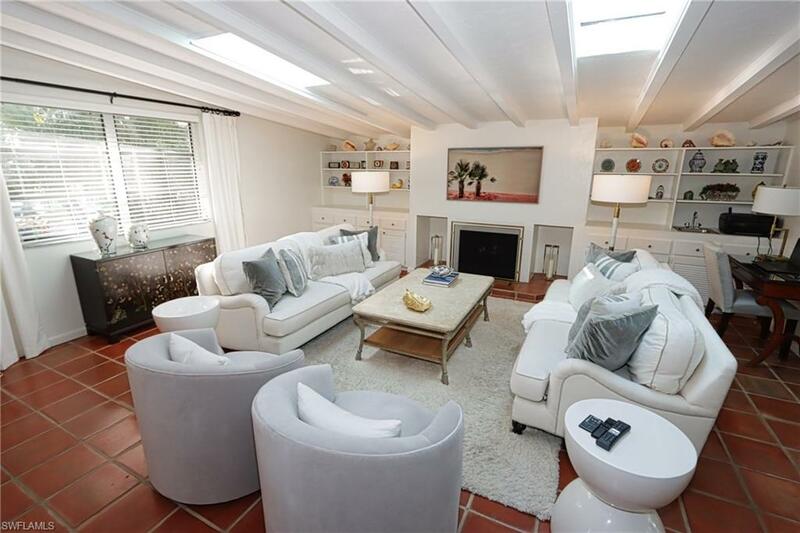 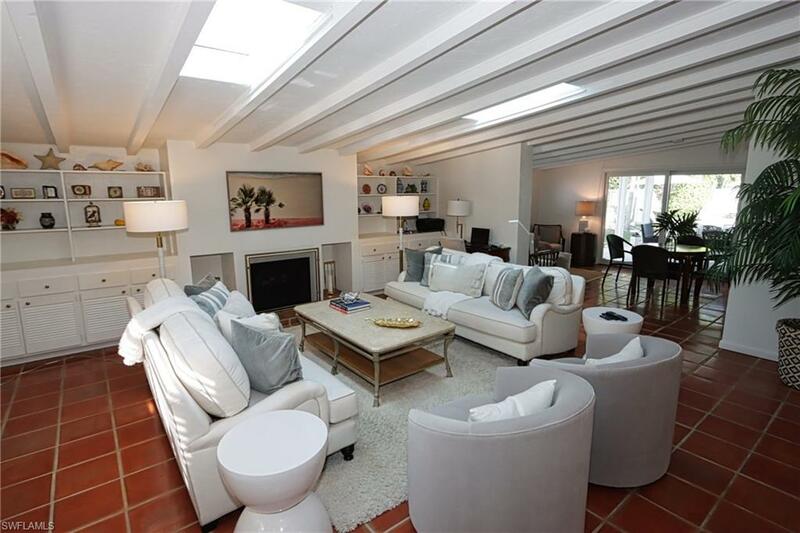 The living area offers two matching couches, coffee table, and built-ins.The family room has two matching pinstriped loveseats, armoire with FLAT-SCREEN TV/DVD player. 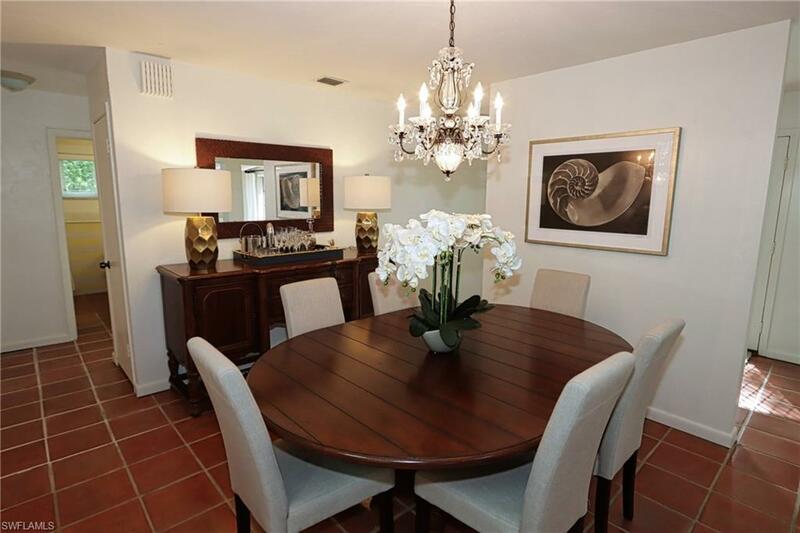 The dining table is a round glass-topped table for six; the kitchen has all new, stainless steel appliances.The master suite offers a king-size bed, dresser, TV, large master bath with tub & shower, private deck for sunning.The 2nd bedroom has a queen size bed, chair, dresser, and private bath.The 3rd bedroom has twin beds, dresser and bath off the hallway.The kitchen has all stainless steel appliances, granite counters and is fully equipped.All new linens, towels, sheets and comforters. 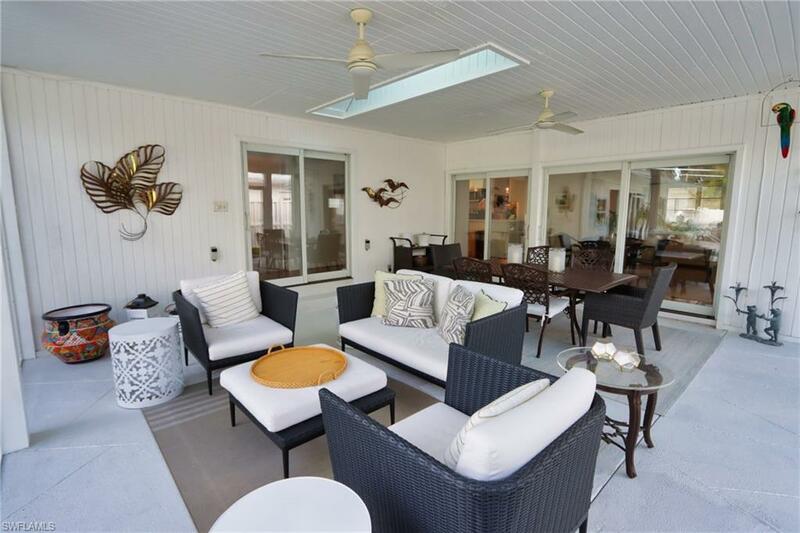 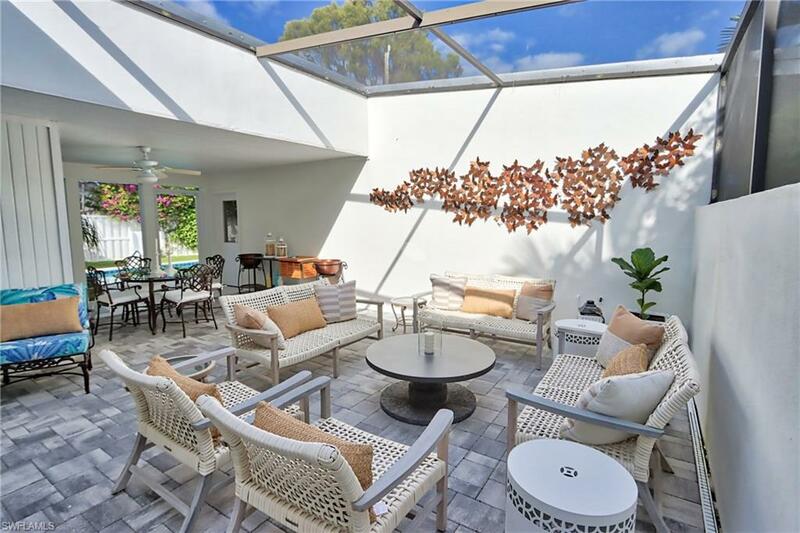 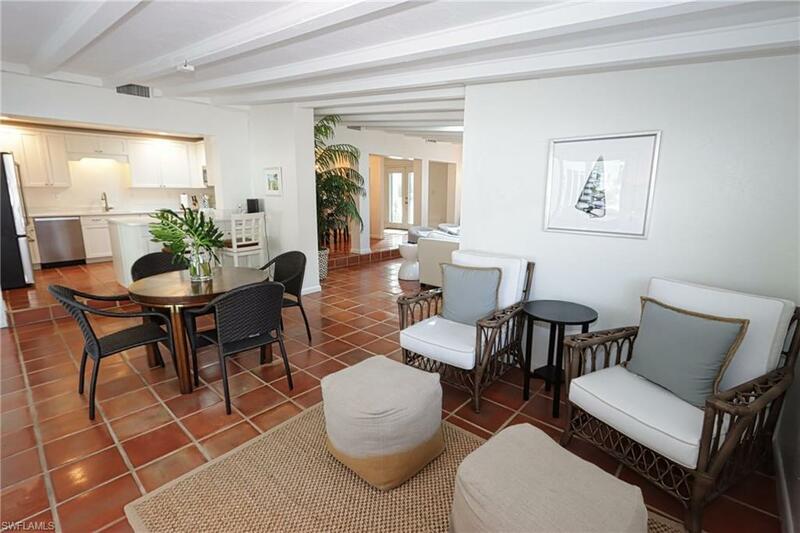 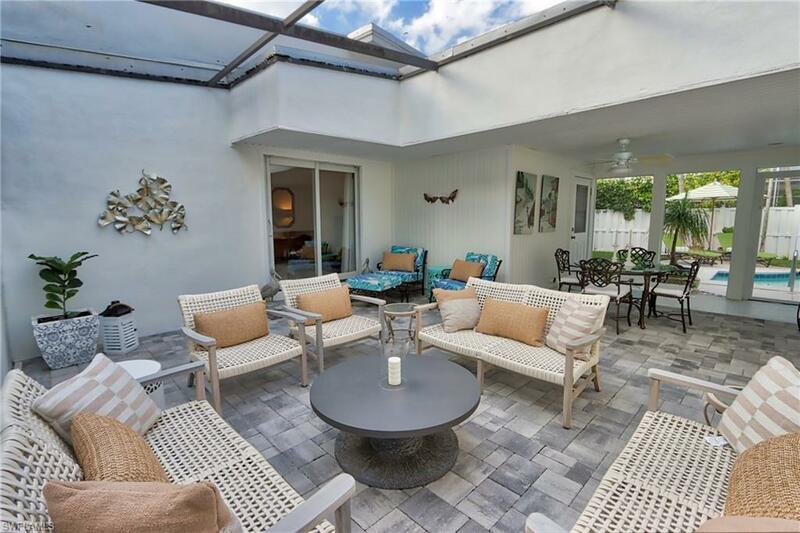 Enjoy the screened lanai overlooking the heated pool.Just a short walk or bike ride to 5th Avenue shops, restaurants, and galleries.